KYU offers valet parking for a fee in the evenings. Street and lot parking is also available in the area. Chef Michael Lewis and General Manager Steven Haigh bring a fresh concept to Miami with the opening of KYU. The wood-fired Asian grill features a diverse menu and focuses on professional yet relaxed service and a commitment to green practices. Chef Lewis’s menu is influenced by years of global travel and inspired by Japanese and Korean yakiniku (literally translated to grilled meat in Japanese). The plates are designed to be straightforward and shareable, enabling a warm social environment. Barbecue aficionados will notice elements of American Southern barbecue peppered throughout the menu including the traditional “slow and low” technique. A carefully curated cocktail list features variations of classic cocktails with clever Asian twists. I like the food at Kyu, where I've been several times over the past two years. 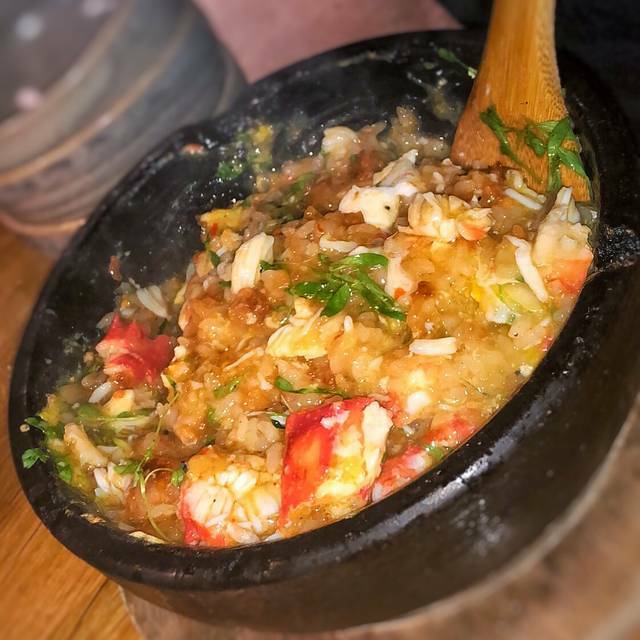 This time, we loved the Thai Fried Rice Stone Pot once again, and really enjoyed a perfect green papaya salad. Sea Bass slices appetizer was a nothing. Crispy pork bites appetizer was good. This restaurant is very popular, so much so that it's really hard to get a reservation, which didn't used to be true at all. My caveat is that IF YOU DON"T LIKE LOUD RESTAURANTS, don't come here for dinner. It is very hard to converse with more than one person when the house is full. Try lunch maybe, or happy hour. That's what I'm going to do in the future. Also, noter that valet parking is $8, which is cheaper than we paid for three hours at a Miami meter. Wow, what a meal! Incredible from the first dish to the last. 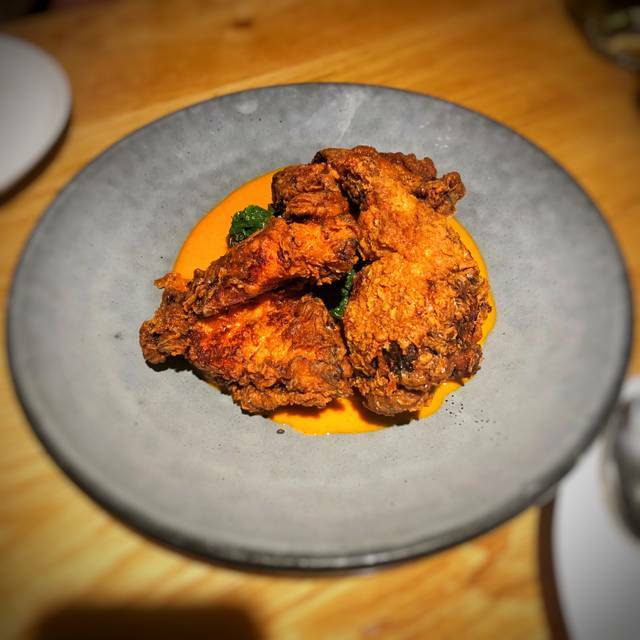 The crispy kale and roasted cauliflower were the standout dishes, with the pork belly and fried chicken cooked to perfection. The drinks menu is fun... lots of great cocktails and an impressive Japanese whiskey list. The service was friendly and helpful. Overall, highly recommended and this place deserves its night positive press. AMAZING restaurant!! Would recommend to anyone. Great food, experience, and environment! The food was delicious and the service was excellent!! It was my birthday. We told the waiter at the time of dessert and they brought me a piece of delicious cake with a candle to blow out. We love the food at KYU. Excellent quality and a whole lot of fun too. A great dinner experience. The brisket does live up to the hype, and done in a unique way. Our server was friendly and made great suggestions. I do love busy restaurants because of the vibe, but wow is KYU loud! You do need to speak with more than just a raised voice to the person next to you. 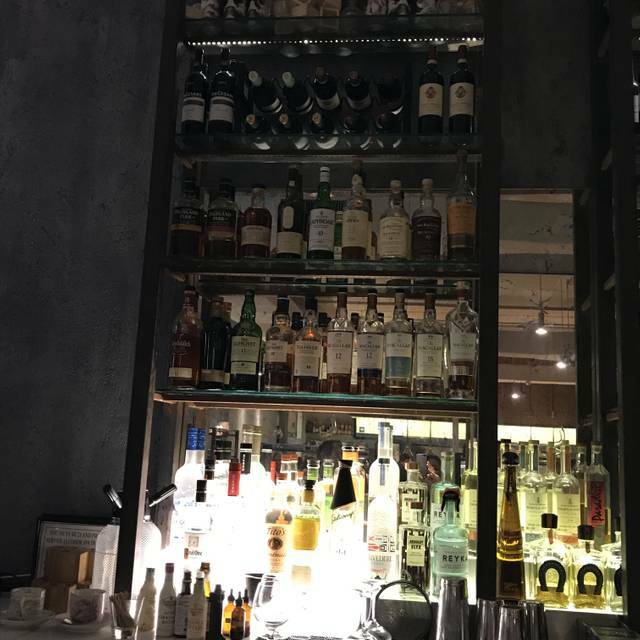 If you love creative yet casual cuisine, great drinks, and a friendly staff, then this does not detract from the overall experience. So much fun!! This hopping restaurant is in the heart of Wynwood. Waiters are so knowledgeable, service was spot on, manager was friendly and checked on us several times. We had to wait about 15 min with a reservation and the manager apologized ! That was so unbelievable thoughtful. Food was delicious. Loved the soft shell crab buns, cauliflower , fried chicken and the most luscious coconut cake !! Mixologist had such great drinks too. Can’t wait to go back !!! loved this place. One of few eating out experiences where every dish brought to the table was excellent. Outstanding food and service. Loved the cauliflower, kale,duck,short rib, snapper,pork belly,beans, cocktails and wine. All was unique in cooking style and spices. Everyone in group would come again. Great place. Great ambiance. The food was super tasty and the waiter was extremely knowledgeable. Highly recommend the brisket and cauliflower ! Exceeded Expectations which were very high! I had read all the reviews but was unconvinced until I ate the amazing, tasty, creative unusual food. 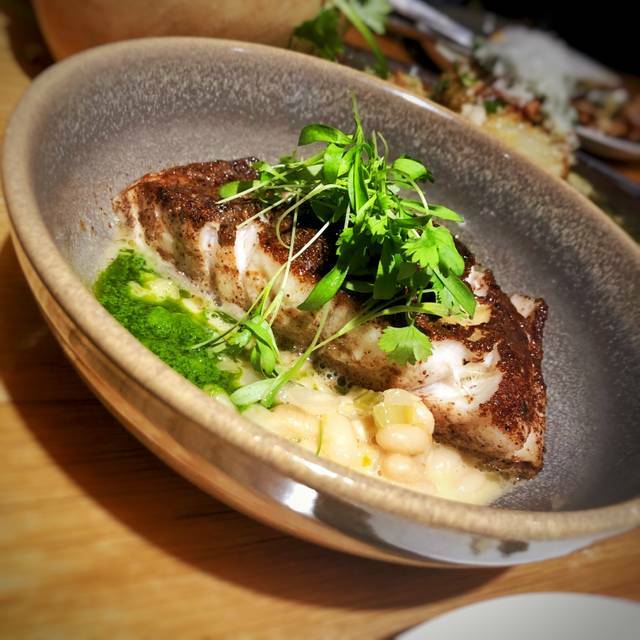 The Bok Choy, The White Beans, The Red Snapper, The cauliflower, it was all so so amazing! The atmosphere fun and festive. It felt healthy, and I have food allergies and felt good the next day after eating here. Cannot wait to go back! The cocktails were great too. The server was knowledgable, complimentary and efficient, great guy! Excellent food, creative drink menu, excellent service. One of the best restaurants in Miami. We love KYU . . . dinner was slower than usual; however, still very enjoyable!! As one of Opentable’s most recommended restaurants, I expected much better food. 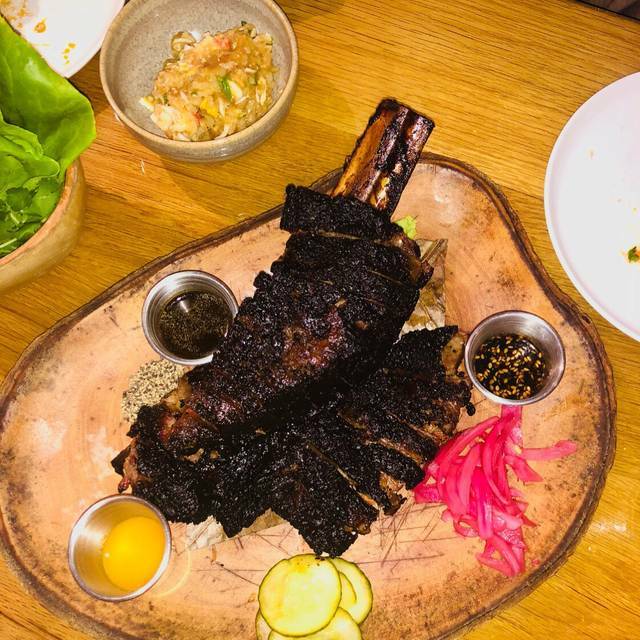 Located in Midtown, it has an artsy industrial vibe and an Asian-BBQ fusion theme. the drinks were good and so were the bbq ribs. There weren’t enough options on the menu and the duck wasn’t great. Outstanding cuisine, great variety, creative presentation. There is a "captain's table" for drop-ins. 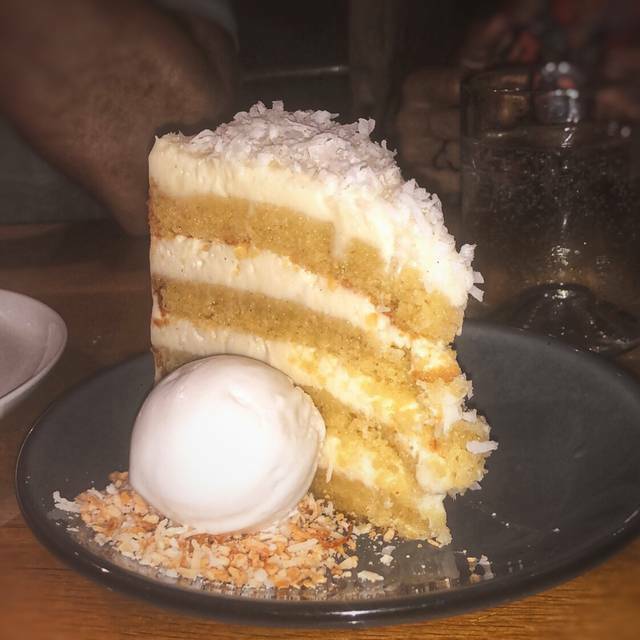 Food was exceptional, especially the coconut cake and the award winning fried chicken. Flavors were quite subtle yet bold making it an easily palatable experience. Had a great time at KYU with my girlfriend for her birthday. Our waitress was incredibly helpful in recommending dishes, and everything we ordered was very tasty and enjoyable. Would definitely recommend! Great food. Fried chicken was best ever! Other menu items were also delicious! We thought the drinks were a bit over priced—but tasty. as always everything was perfect. this became our favorite restaurant! Amazing to see how every time KYU never fails in terms of food and service. You may find fancier places in Miami, the food in KYU is always on point. My favorite restaurant in Miami, staff went through extra measures to ensure our large party could sit and celebrate my bday. 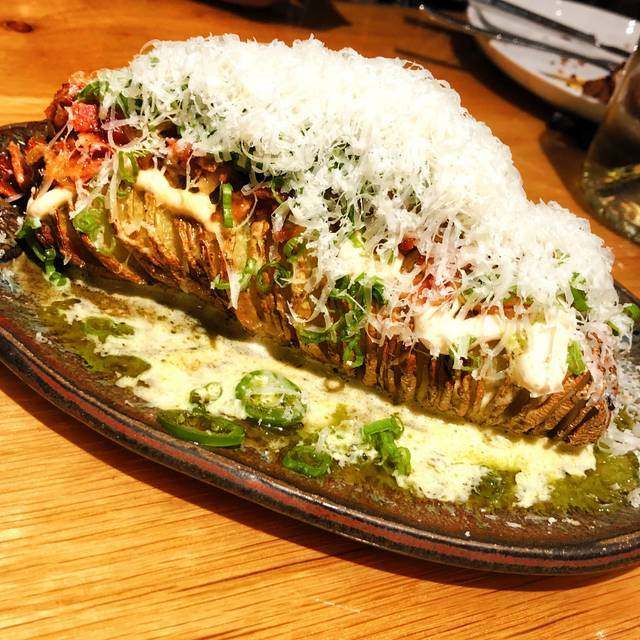 The food is too good to continue writing this review without getting hungry. Phenomenal menu. Everything was delicious. Drinks at the bar were also very creative and delicious. 5 stars all day. Great service, friendly and attentive staff, great food, and very cool and young ambiance! A strong recommendation (especially if you are heading out to paint the town red afterwards!)! We LOVE KYU. Great, creative menu. Attentive service. One of our favorite places in Miami. 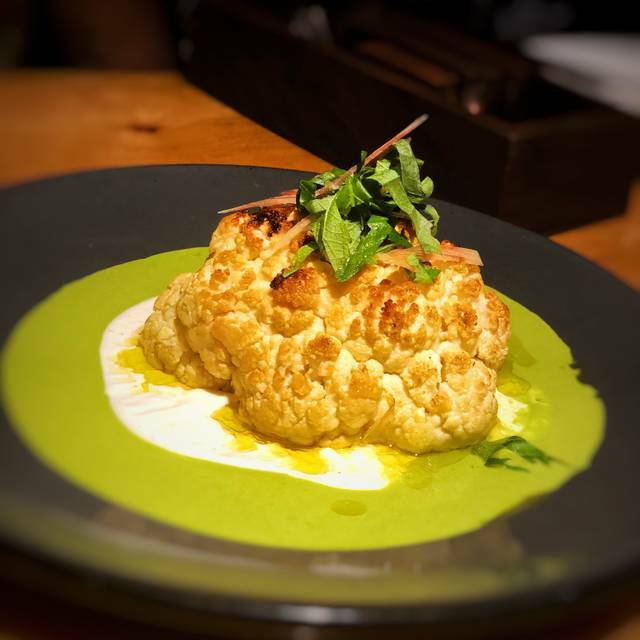 The roasted cauliflower is amazing! We have been addicted to Kyu since it opened. 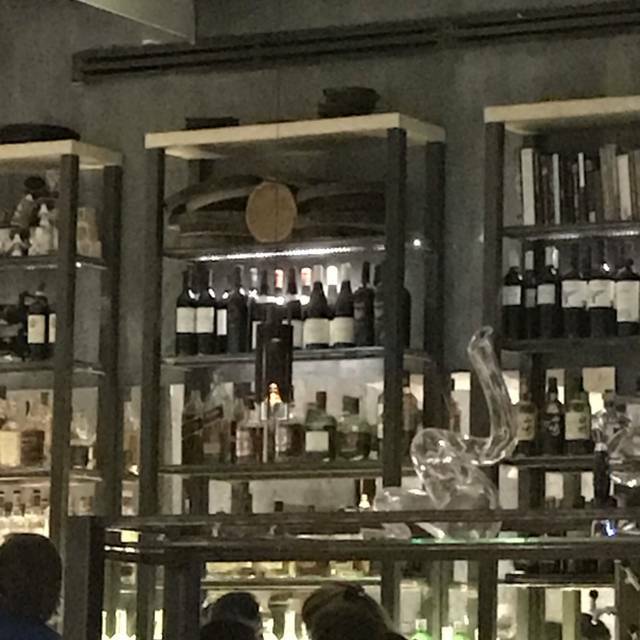 Amazing food, now also a magnificent cocktail menu! It just keeps getting better but sadly the whole town has fought up to how good it is, so - sadly for us - it’s hard to get a reservation... every day at Kyu is a special day for us! Can't wait to go back as 2 people couldn't have as much as I wanted to order! Went for a b-day lunch and was thrilled with everything I ordered - great drinks (all) soft shell crab bun, gyoza, fried chicken (a signature there) and grilled bok choy. Had the coconut cake which was decorated w/ a candle and subtle not loud presentation. IT WAS AMAZING! Please save room for the delicious dessert! Our Server was wonderful in recommendations and timing of food delivery. All food is for sharing. The food was delicious with a few exceptions. This was my second time dining here and my group shared everything. We loved the tuna tataki and the ceviche, we adored the duck and enjoyed the broccoli and the pork belly. The beef tenderloin would have been perfect but the sauce was way over-salted. The kimchee bloody Mary would have been divine, but again, too much salt. I’m not overly sensitive to salt...I love salty, but these two items were really heavy handed. My other disappointment was the crispy tuna. I’ve had this before where the crispy rice was lightly crisped on the outside but fluffy on the inside. This batch was over-cooked where the rice was super sticky, dense and overly crisped. Service and ambiance were great and we had a lovely pre Miami Heat dinner. I look forward to returning.